For over forty years, Annabel Trends have been making quality home linen, kitchen napery and accessories loved by people Australia wide. Their Australian-designed products are made with care and will look wonderful in your home. 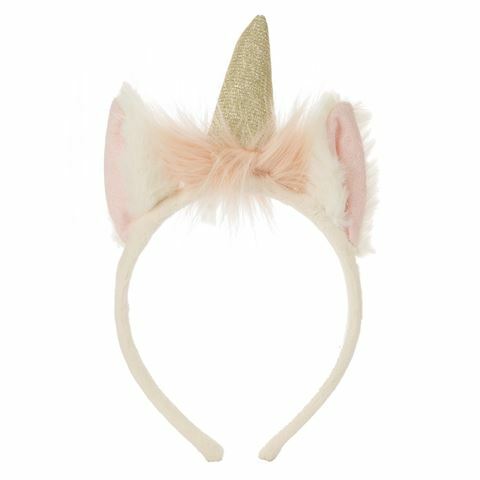 Let your child live out their wildest imaginations and keep their hair in place, thanks to this Plush Unicorn Head Band. Crafted from polyester and plastic, this headband is an adorable accessory for your little one. With soft ears, tufts of pink hair and a gold, glittery horn, your child will have a magical time with this wonderful accessory by Annabel Trends. Crafted from polyester and plastic. Complete with soft ears, tufts of pink hair and a glittery horn. Dimensions: 22cm (h) x 13.5cm (w).